Heading North: Exit Dyer Road and turn left. Go west 1 Mile to Main Street and turn right. We are located on the right hand side at the corner of Main and Central. Heading South: Exit Dyer Road East and turn left. Go 1 mile to Main Street and turn right. 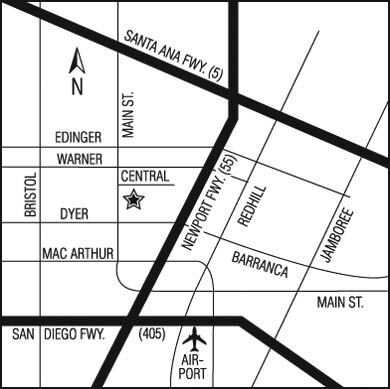 We are located on the right hand side at the corner of Main and Central.